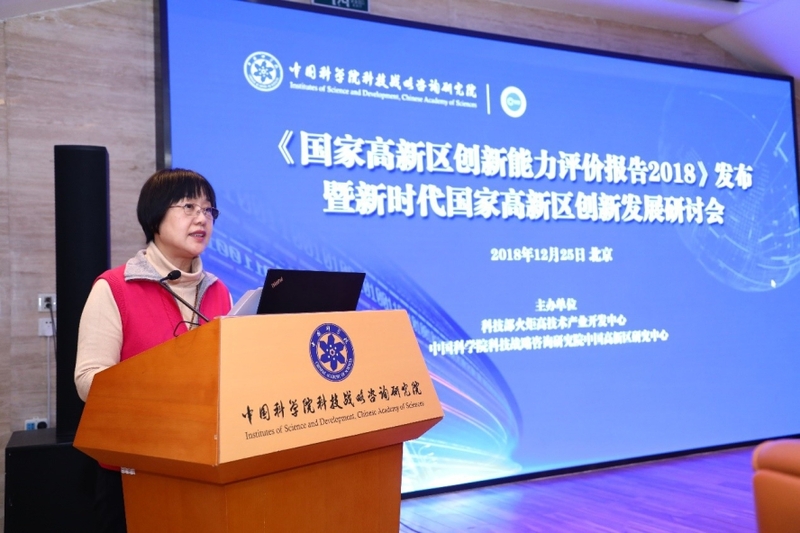 Dec. 25, the 2018 Evaluation Report of National High-tech Zone Innovation Capability was jointly launched by the Torch High Technology Industry Development Center of Ministry of Science & Technology and Chinese Academy of Sciences Institutes of Science and Development (CASISD) in Beijing, marking the 30 years of China’s High-tech Zones development. 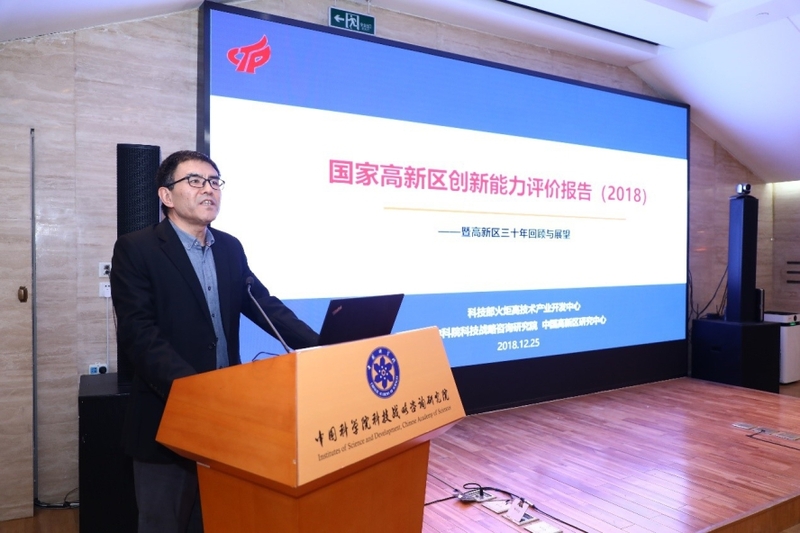 The evaluation report was released annually since 2013, based on five main index and 25 second index of innovation, with the main index of resources, start-up environment, company activity and performance, international cooperation and the effects on development. ZHANG Feng, vice president of CASISD, pointed out in the opening remarks that this year is the 40 years of reform and opening-up and the 30 years of the founding of the National High-tech Zones. She also stated that the State Council officially approved China's first high-tech industrial development pilot zone in the background of the global industry reform with novel technology and reform and opening-up strategy of China, aiming at practicing the development of high-tech industry and innovation-driven development. Starting from scratch, the National High-tech Zones have advanced the S&T system reform, improved the national innovation system, and promoted China's reform and opening-up. ZHANG Feng, vice president of CASISD, w as giving the opening remarks. 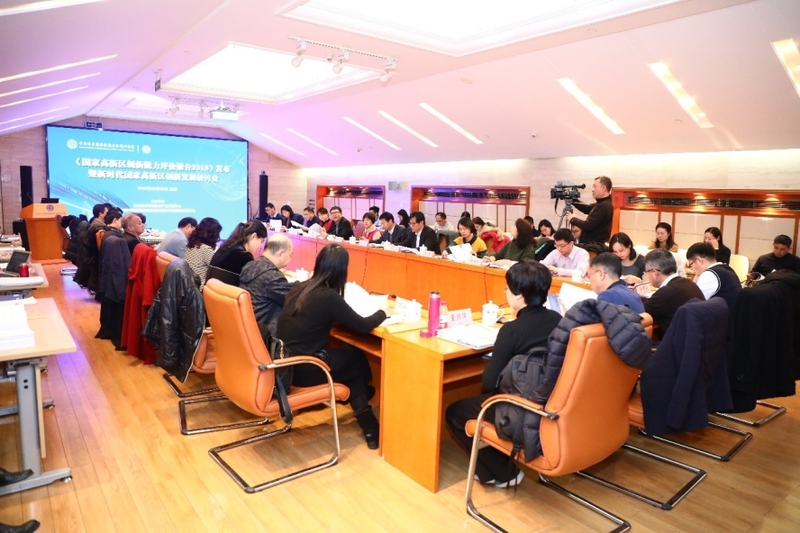 According to the evaluation report, since 1988 when the first high-tech Zone of Zhongguancun was initiated and by the end of 2017, the State Council has approved the establishment of 156 national high-tech zones (excluding Suzhou Industrial Park), and the total gross domestic product (GDP) reached around 9.51 trillion yuan, accounting for 11.5% of China's GDP in that year, suggesting that the High-tech Zones have become the main force and the main body for practicing the national strategy of innovation-driven development. In 2017, the High-tech Zones contributed 35% of the national R&D investment, with a continued increase making up 45.1% of R&D investment of all the corporations in the country. The number of national research institutions in the High-tech Zones, such as national key laboratories, national engineering laboratories, national engineering research centers, national engineering (technical) research centers and so on, accounts for about 2/3 of the total throughout China, and moreover, the number R&D personnel accounts for nearly half of the national enterprises. In addition, the innovative output of High-tech Zones was fruitful, with 288,000 patent applications and 112,000 authorizations for inventions, of which 93,000 were granted domestic patent applications, accounting for 46.3% of the granted total patent applications of the national enterprises, demonstrating a much higher efficiency of innovation than that of the whole country. The number of patent applications, authorizations and ownership of inventions by tens of thousands of people is more than seven times of the national average. "After 30 years, the High-tech Zones have successfully fulfilled their mission of pioneering China's innovation systems, driving socioeconomic development, leading high-tech industries' growth and radiating their positive influence to the nation and the world," said Wang Shengguang, director of the research center on China's High-tech Zones of CASISD. 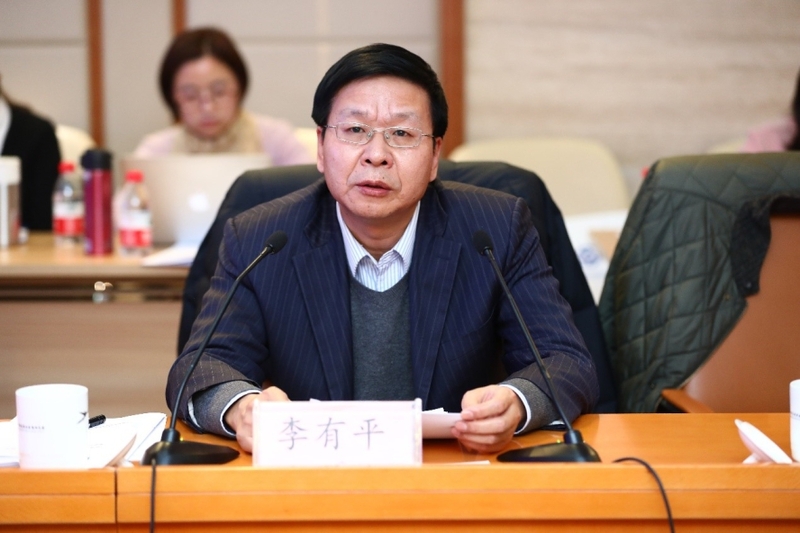 WANG Shengguang, director of the research center on China's High-tech Zones of CASISD, was launching the 2018 Evaluation Report of National High-tech Zone Innovation Capability. The report points out that there are obvious differences in the performance of national high-tech zones in different provinces, showing the characteristics of "Strong East and Weak West". Among them, Beijing's national high-tech zones display the highest capability of innovation, the innovation capability of Anhui's national high-tech zones present the fastest growing rate, and the later-developing regions have a rapid improvement, which indicates that the imbalance of innovation and development in the central and western regions is improving. LI Youping, vice director of the Torch High Technology Industry Development Center, was giving a speech. The report suggests that the high-quality development of National High-tech Zones should focus on the pattern transformation of new technology economy, intensify the construction of innovative economic ecology under the background of digitalization, networking and intellectualization, aiming at the goal of realizing the "innovative economy".